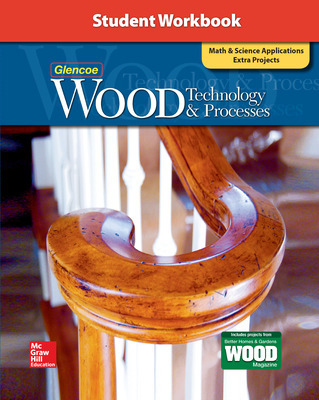 Help students learn about today's woodworking techniques and tools with Glencoe Wood Technology and Processes! 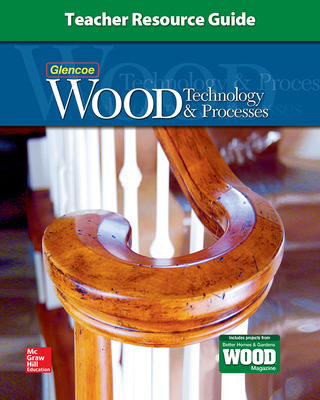 Comprehensive content with basic and advanced woodworking operations offers clear instructions and a strong illustration program. 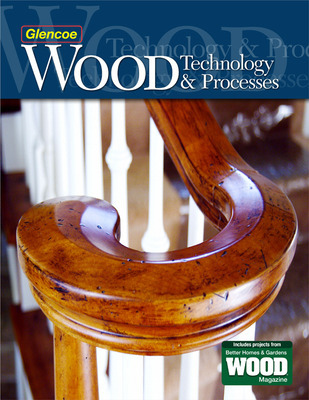 The Woodworkers Handbook identifies tools and materials used in woodworking; Advanced Woodworking Techniques offers advanced techniques for the experienced woodworker. Academic Integration is provided in every chapter with Math and Science features. Beginner, intermediate, and advanced projects from Better Homes and Gardens® Wood Magazine provide projects using skills learned in the text. Projects include a compact disc tower, a drafting/reference center, a birdhouse in the round, a doghouse, and more, giving your students practical, enjoyable experiences working with wood!